We safely and quickly provide ice dam and snow removal on your Winnipeg home. We’d rather not see you up on your slippery roof swinging an axe all weekend in an attempt to destroy that bothersome ice dam, all the while putting your own safety and that of your shingles at risk. Instead, why not entrust the task to our team of experienced professionals who have the specialized equipment to get the job done right, while you relax inside with a mug of hot cocoa and a good book? 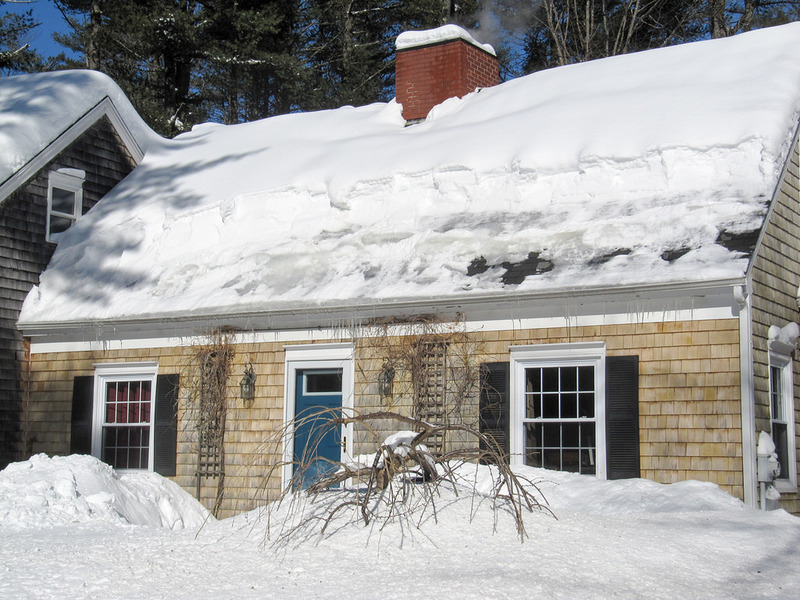 There are many ineffective or destructive ways to attack ice dams, but the only way we remove ice dams is through the use of high temperature steam. Steam ice dam removal is safe for the shingles and roof structure while providing complete removal of the built up ice, so you can rest calmly knowing those mischievous snowflakes will not be tormenting you in the near future. Once you have solved the immediate issue of the snow and ice dams on your rooftop, plans should be made to prevent ice dam formation in the future primarily through upgrading your attic insulation and ventilation. Our multiple departments will work together to equip your home to have the best possible defence against ice dams before next winter hits.